Tropolis » A surveillance double bill? 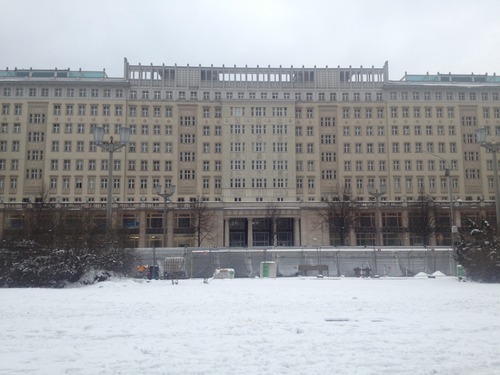 Top pic, FSB HQ in Moscow; below, my flat in Berlin! Very Moscow chic, bearing absolutely no relation to the rest of this post though. Are rumblings of discontent are afoot? May 1st is coming up, feathers are ruffled. Not one but two lectures about surveillance – at two of my favourite spots in town. This one is at Paddington’s Frontline Club. If you find yourself tapping your foot a little bored one day, get over here: ground floor restaurant, first floor clubby bar (great journals, conflict zone beers, green chesterfields), a lecture room and private rooms for members! You can’t argue with that – it’s a flawless set up. 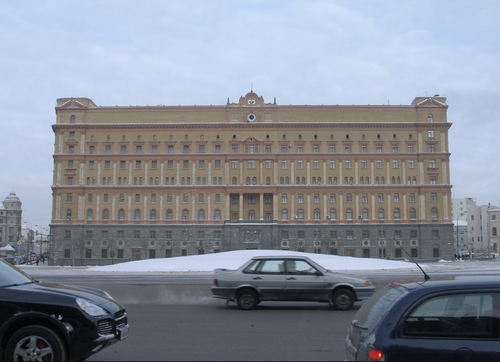 The surveillance culture in Russia is well documented. In the digital age as we see more protests on the streets of Moscow and elsewhere the FSB (the successor to the KGB) are developing new surveillance technologies. Towards the end of last year as debate about the draft Communications Data Bill was raging in the UK, in Russia advanced internet-censorship and monitoring technologies were introduced. In reaction to this Privacy International, Agentura.Ru, the Russian secret services watchdog, and Citizen Lab have joined forces to launch a new project entitled Russia’s Surveillance State. The FC will be joined by those involved in this new project and other experts to discuss the surveillance practices in Russia and how they are developing. With: Misha Glenny, an investigative journalist, author and broadcaster. He is one of the world’s leading experts on cybercrime and on global mafia networks. He is author of McMafia: Seriously Organised Crime and DarkMarket: How Hackers Became the New Mafia.